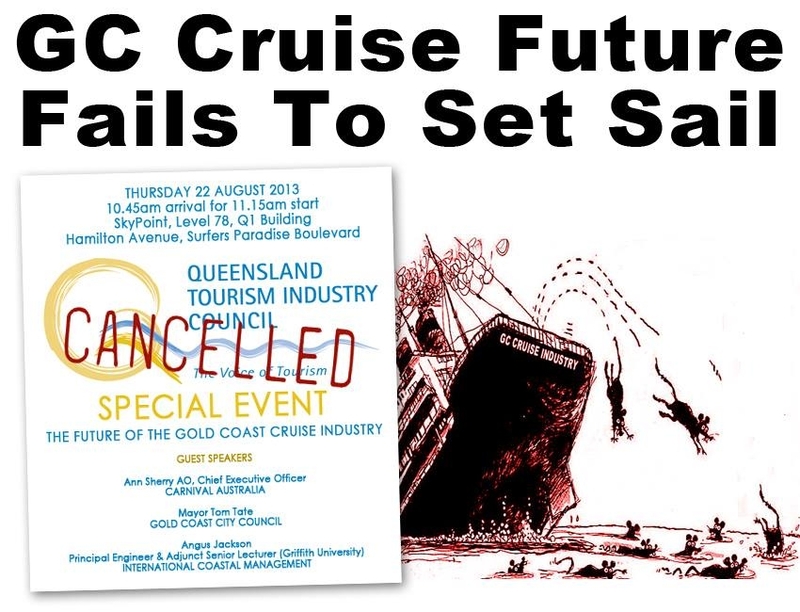 We received notice last week that the much anticipated "The Future Of The Gold Coast Cruise Industry" special event and forum, has been mysteriously cancelled - not much of a future at all, for that event anyway. We know this is a blow to all those that were desperately keen to hear about how "a million dollars walks off" a cruise ship every time it makes port, or the final proof of how it was determined that "80% of Gold Coasters want a cruise terminal", but alas it won't be happening now. The event, to be held at Q1 and hosted by Queensland Tourism Industry Council was to host guest speakers Mayor Tom Tate, Carnival Australia CEO Ann Sherry and Griffith Uni senior lecturer/engineer Angus Jackson. We shudder to think of the now missed opportunity to get at the valuable information they would have had on offer, and especially how Tom and Ann would have demonstrated that they have the Gold Coast community's best interests at the forefront of their business proposals. Better luck next time? 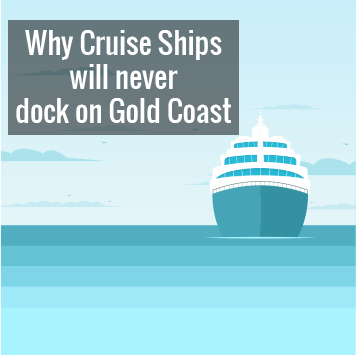 The Gold Coast Bulletin reported that "a lack of interest caused a forum to discuss the future of the Gold Coast Cruise Industry to be scrapped this week." "only 50 people had registered"